The number one cause of crooked teeth is mouth-breathing. It is always associated with smaller jaws, and smaller jaws mean smaller airways, predisposing a child to snoring and sleep apnoea later in life. Correcting the problem early can mean saving money on orthodontic bills as well as setting up your child for better health throughout life. 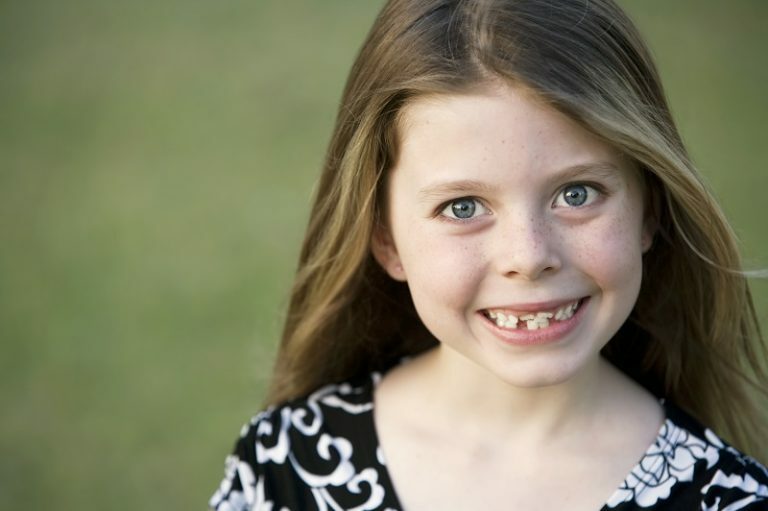 Every child has the genetic potential to grow their face to accommodate all of their teeth. Crooked teeth is always the result of altered cranio-facial development and the number one cause of this is low tongue position. For the upper jaw and palette to develop correctly, the tongue should be in the top of the mouth resting against the palate. In children who mouth-breathe the tongue sits at the bottom so as to not occlude their preferred airway – the mouth. Without the forces that the tongue exerts on the top of the palette the inward forces caused by cheek muscles and facial skin are not counter-balanced, causing the face to develop in a narrow fashion. Abnormal swallowing in mouth-breathers exacerbates the problem by pushing the front teeth forward. While dentists are aware of this most have not re-orientated their practice to treat the cause rather than the symptoms, and hence regular orthodontic treatment is still standard practice. However some dentists are now turning to orofacial myology and breathing retraining so that the cause is corrected early in life, rather than deal with the symptoms later in life. Depending on the severity of the problem and the age of the child it is possible to avoid expensive orthodontics, as well as help your child develop the beautiful wide face with straight teeth that they have the genetic potential to grow. For older children who do require orthodontics, breathing retraining can shorten the period of orthodontic treatment required, help prevent relapse, and still achieve better airway development than they would otherwise. Orofacial myology and/or breathing retraining can also help the child avoid other problems associated with mouth-breathing such as asthma, blocked nose, hayfever, snoring and other breathing disorders. Learning to breathe correctly sets a child up for life!